In this article, you can see some great Photo Apps to Make Posters and Cartoons . If you need any photo editing application to create posters or cartoon, this article would be very useful for you because here you can view some very useful image editors which help users make posters and cartoons easily on iPhone and iPad. We've listed here the best poster & cartoon maker apps for iPhone users. Okay check out these photo apps on your iDevice. 1. Vintage Design Logo & Poster Maker ( iPhone & iPad ) - Very useful logo & poster maker app for creative users and it comes with many useful tools that let you create awesome designs with unlimited possibilities. Vintage design app has many features such as +4000 loyalty free backgrounds & templates for beautiful designs, +150 stylish fonts, +25 effects, layer editing photo tool, tool to blur backgrounds, advance photo editing tools, color tools, spacing tool, object flipping option and many other features. One of the best apps to create posters, logo, app designs, concepts, ideas and professional banners for advertisements. If you are looking for the best logo maker app for your iPhone or iPad, Vintage logo maker app would be the best option for your iDevice. It contains tons of professional looking backgrounds, badges & designs for your logos & posters. Recommended app for professional users. 2. 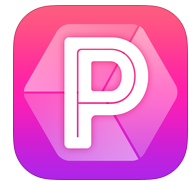 Poster Flyer Maker Icon Design ( iPhone & iPad ) - If you want to create real printable posters for promotional works, this poster maker would be very useful app for your iPhone and iPad. The app helps you make beautiful and attractive posters easily on your device. With the help of this app, you can create awesome posters and share your creation with your friends through social networking websites . Great app that allows you to make stunning posters and design them easily without using your desktop computer. The app contains lots of features and options such as image, text and stickers and many other features which can be used to amazing posters like professionals. 3. VanillaPen - Poster maker ( iPhone ) - If you are looking for free poster maker app for your iPhone, VanillaPen would be the best option for your iDevice. VanillaPen contains more than 200 customizable posters which can be used to create your own unique posters. 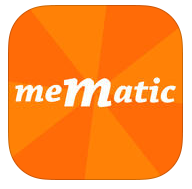 Very useful app that includes many features such as custom background maker tool, Typography and beautiful artworks, decoration tool, texture layering , social sharing and more. Very useful poster maker app that is available free of cost on the Appstore, and if want to access all of features , you can unlock premium features through in-app purchase. 4. Mematic ( iPhone & iPad ) - Mematic is one of the best free poster maker apps on the Appstore that lets you create funny posters with any image. 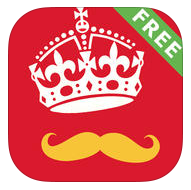 The app comes with some useful features which can be used to make funny posters with a few taps. The helps you add funny caption to any image. If you want to use custom background feature and other useful features, you can upgrade your app to paid version. 5 Prisma Photo Editor ( iPhone & iPad ) - This is basically a photo effect app that comes with lots of amazing features including tons of artworks. You can create professional posters or change your photos into cartoon using prisma effects. One of the best apps to turn your simple photographs into professional artworks. If you want to create artworks and print that as a poster, you can try this app. 6. 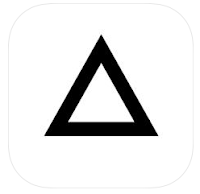 Poster+ ( iPhone ) - Poster + is a powerful poster maker app on the Appstore that can be installed free of charge on your iPhone. The app comes with lots of readymade templates, photo effects, photo frames and filters, text & photo layers, custom background color and many other features. You can access all of useful features by unlocking some in-app packs. 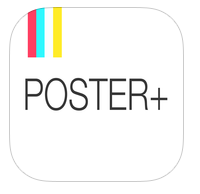 Great app to create professional posters. 7. Keep Calm ( iPhone & iPad ) - Keep Calm is a powerful poster maker tool that allows you to create amazing posters and cover photos like professionals. 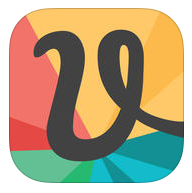 The app contains lots of icons and background color editing feature. Great app that also helps you choose any photo for background. You can download this app free of cost from the Appstore and unlock all of features through in-app purchases to create amazing posters. 8. PosterLabs ( iPhone ) - Stylish poster maker tool for iPhone that helps you make amazing posters of your images. 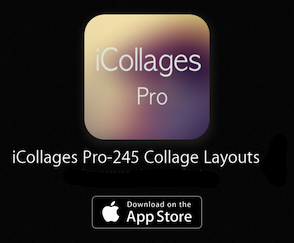 The app instantly creates spectacular posters of your photos and lets you add professional effects. The app comes with hundreds of professional templates which are used in magazine covers, movie posters, gourmet ads and travel documentary. You can download this app free of cost from the Appstore. 9. Infographic & Poster Maker ( iPhone & iPad ) - This is one of the best professional poster make apps on the Appstore and it comes with some very useful professional features which can be used to create posters, infographics and other kinds of graphics. The app allows you to create professional infographics and posters easily on your iPhone and iPad. The app comes with lots of features such as more than 400 hundred readymade templates, icons and graphics , background templates, professional vector templates, readymade templates for icons , image layout support with transparency management feature and many other features. 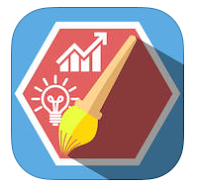 Great app that helps you create beautiful infographic and poster for your business.